I recently stopped by the SoHo Ballet Beautiful studio to take a class taught by none other than founder Mary Helen Bowers. Dressed in a sleek black leotard with a bow-tie closure in the back and a pair of tights, I quickly remembered why I love the art form so much. Not only does it mould your body close to perfectly, it also integrates fashion and personal style. This got me pondering about how—once you’re past teenage years—an adult should approach dressing for a ballet class. Luckily, Bowers knows a thing or two about the subject and was lovely enough to answer all of my questions. Scroll down for the Q&A, and be sure to pick up your favourite pieces for your next class! Do you go to ballet classes? We want to know! What are the core pieces you should own if you want to start taking ballet classes? Ballet Beautiful satin slippers and a leotard are musts! They make you look incredible, flatter so many different body types and add that ballerina glamour to any look! Are there any no’s when it comes to ballet attire? In the dance world, yes. But when it comes to fashion I absolutely love to see the playful ways that people style their ballet ribbons, warmers and tights. There's a big difference between preparing your hair or shoes for a performance versus a workout of course. A workout is the perfect time to experiment and have fun! Are there certain pieces that can help enhance your performance? It's very helpful to wear tights or leggings to see and feel a true bend and stretch through the knees. Our ballet slippers have a lovely suede sole that helps grip the mat but can also slide gracefully along the floor for standing work, and legwarmers are an essential to keep the muscles warm and flexible during workouts. They’re also great with a skirt once the cold weather comes! What about color palette? Is there a rule for tights and leotard colors or is it a personal choice? It's all about personal choice. Pink tights and slippers with a black leotard is probably the most classic. 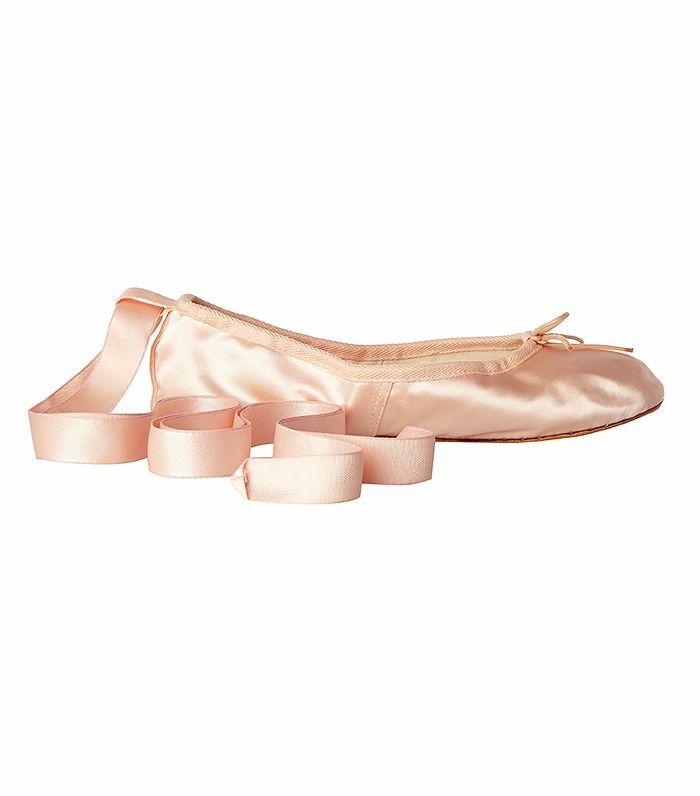 How do you find ballet shoes? Our ballet slippers and shoes are handmade in Italy by third generation artisans. You can order them on www.balletbeautiful.com and Net-A-Porter. There is truly a craft to making ballet shoes. I love mixing it up and playing with different colors, ribbons and materials depending on my look and mood! Are there any women in history who had really amazing ballet style (in terms of attire)? Audrey Hepburn and Bridget Bardot made ballet street style super chic. What’s your favorite ensemble to wear while practicing ballet? My long sleeved red Ballet Beautiful leotard, black seamed tights and satin slippers. Why would you encourage women in their 20s and beyond to still take ballet? There's no age limit when it come to looking and feeling your best! Ballet Beautiful is a low impact way to strengthen and tone. The results are incredible on women of all ages! Do you take dance classes? If so, tell us what you wear in the comments below!